I guess I didn’t get the memo that today is officially teaser day. 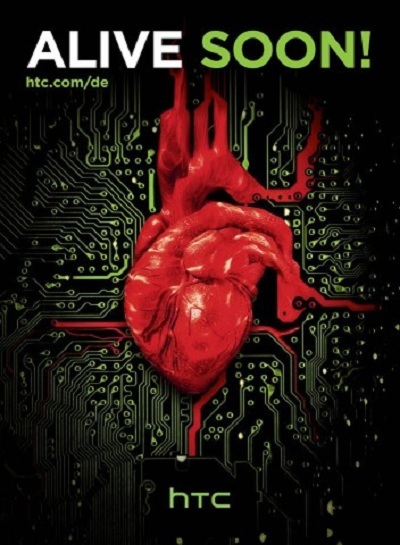 Apparently, HTC Germany has something big coming it would appear and it has to do with human hearts being attached to a circuit board or something. All we have from the image is, “Alive Soon.” Well, I am completely stumped. As K and I both feel, this is so unlike HTC in terms of a teaser. This is the type of imagery you would see from Verizon and the DROID brand. This leaves us with a lot of questions rather than answers.